How Do You Choose Your Stone Cladding Wall Materials? In our latest article on Stone Cladding, we give advice on what to consider when choosing stone cladding materials for your walls. Stone cladding can restore a historic home to its original glory and transform a modern home into a sophisticated and stylish abode. Cladding fashioned with natural stone offers more durability than any other materials, making it a functional choice for both interior and exterior applications. Because the cut, type and colour of the cladding stone you choose will also define the style of your home, you’ll want to explore all of your options to ensure the ideal selection. Read more of this expert article on stone cladding which delves deeper into considerations such as the types of natural stone cladding that are available and also various types of style and character that can give your home either an olde style or modern look. SNGranite also have a fantastic gallery of stone cladding, stone paving and garden ornaments on our site. Click here to browse through some of the beautiful products to get ideas for your home and garden. S&N Granite have compiled another informative article based on insider knowledge of the trends in stone cladding for Spring/Summer 2014. We explore stack stone looks, textures and colours that are trending recently and what to look out for over the coming months. Whether you want to dry stack the cladding to optimise textural contrast or affix the cladding with mortar to achieve a more traditional look, the best cladding suppliers offer everything that you need to update your home or garden this season with fashionable cladding stone. To read more of this article click here or if you are interested in speaking to the experts contact us through our website or visit our display area in Camolin, Co. Wexford. Stone cladding has always been viewed as a very expensive option when it comes to the decorating the façade of our homes. When you actually explore the benefits of this option it becomes clear that it is a worthwhile route to go. Natural stone cladding can be found in a large array of colours to suit any style. It also has protection benefits safe guarding your home against extreme Irish wet weather. S&N Granite publish regular informative articles on the latest trends, benefits and ideas around stone cladding. Read more of this article or browse through previous articles on paving and cladding. Or call one of our experts at our showroom in Camolin, Co. Wexford. Follow us on Facebook, Twitter, Google+ and Pinterest to be kept up to date with our events and news. The exterior appearance of your home or business is what makes the first impression about you and your business when someone first sees your building. 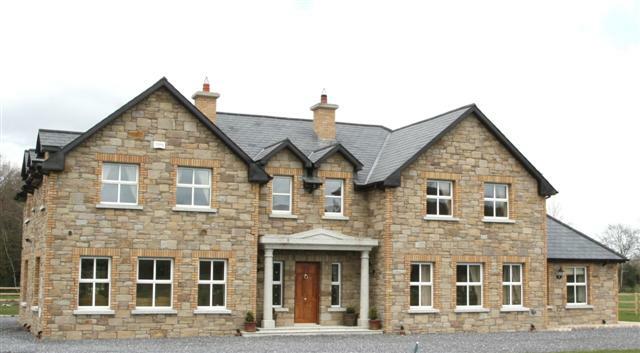 Stone cladding not only looks great, it is also very functional and can endure years of harsh Irish weather. With its sophisticated appearance stone cladding looks a lot more impressive on a building than many alternative manufactured products. With a wide variety of aesthetic cladding options that cater to a range of tastes it is important to choose the right look for your building. Go to our website to read more about how the various exterior stone cladding options can improve your property. When embarking on a project which involves creating the look and feel of a stone wall without building a full stone wall on either the inside or outside of your home you have two main options. You could either use artificial stone veneer or natural stone cladding. Artificial cladding materials are made by blending cement with aggregate materials like pumice and colour pigments. The look of concrete cladding has improved over the last few years however, the material can chip quite easily which often will require expensive repairs. Also when artificial cladding is used as exterior cladding it tends to absorb crystalline deposits, which create a film which is hard to remove. Natural stone cladding is real stone which has been carved into thin slices, creating cladding which is light enough to use in virtually any application. It can be easily applied to most surfaces and while it is more expensive than artificial cladding it has a longer life span. There is a wide selection of colours, textures, shapes and sizes which are suitable for projects on both the inside and outside of your home. To find out more information on whether to choose artificial stone veneer or natural stone cladding you can read this article in full here. At S&N Granite we offer a wide range of stone cladding materials suitable for projects on the inside and outside of your home. 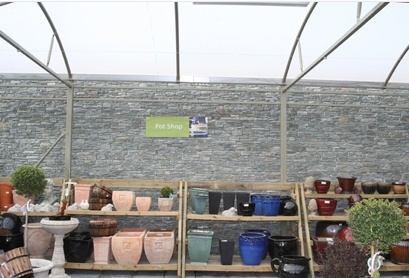 Visit our website or contact us for more information on any of our products or drop in and see our new paving display area in Camolin, Co. Wexford, only an hour from Dublin. Stone has been used to decorate homes for hundreds of years. Stone cladding allows homeowners to achieve the look of stone construction in a number of different areas of their home – both inside and out. Stone Cladding is created when natural stone is cut into thin slices this makes it quite light, which allows to be applied to many different surfaces. It is designed the give the look to the surface of stacked stone. The other side of the cladding is left smooth for easy application. There are a number of different methods of installing stone cladding and deciding which one to use will often depend on the surface that it is being applied to. To read this article in full and to get more ideas for using stone cladding with your home click here. At S&N Granite we offer a wide range of stone cladding products that are suitable for both the inside and the outside of your home. Contact us for more information about our products or drop into our showrooms and see our new paving display area in Camolin, County Wexford, less than an hour from Dublin. Are you looking to renovate the exterior of your home? You may be thinking of a new lick of paint or having your pebble dashed walls redone however, stone cladding is a material that has the capability of transforming the outside of your home. Stone Cladding is becoming a popular choice for a number of reasons one being it is available in a wide variety of colours and materials which means you are sure to find the look the you want to create for the outside of your home. It also requires minimal installation time which is another reason it is a regular choice for renovating the outside of homes. 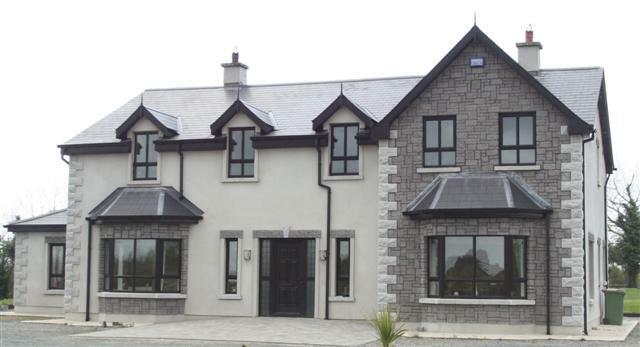 Stone cladding is available in a number of different styles including; granite rock faced stone cladding, slate cladding stone and quartz stone cladding. Stone Cladding is very pleasing aesthetically but it can also bring your home other benefits in terms of strength and insulation. To read this article in full click here. At S&N Granite we have a wide range of stone cladding products available which may be what you need to give your home that new look. To see our full range you can visit our website or drop by our showroom which is located in Camolin, just an hour outside of Dublin. 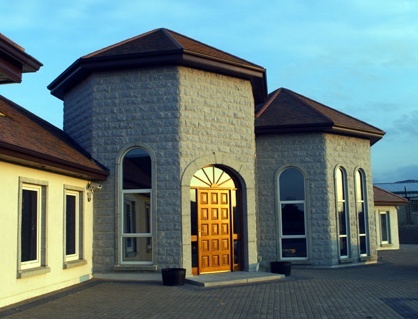 For more information on our stone cladding products please contact us.